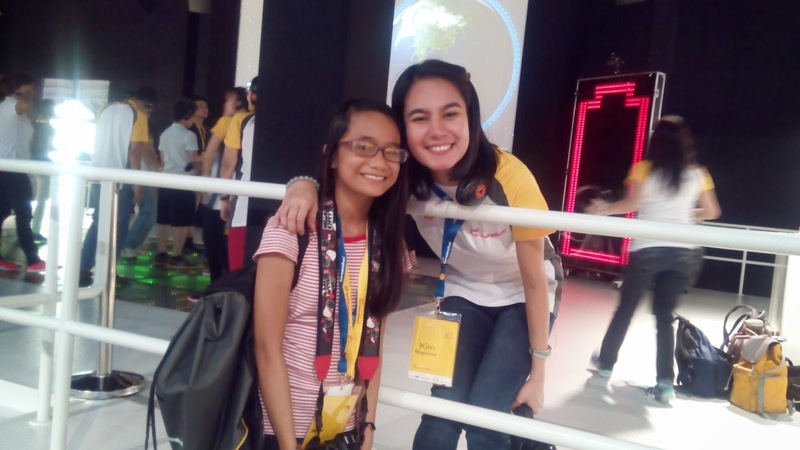 Last February 8, I played stage-mom when my daughter's editor at the Manila Bulletin asked her to cover the Energy Lab of Shell Eco-marathon Asia at the Luneta grounds. 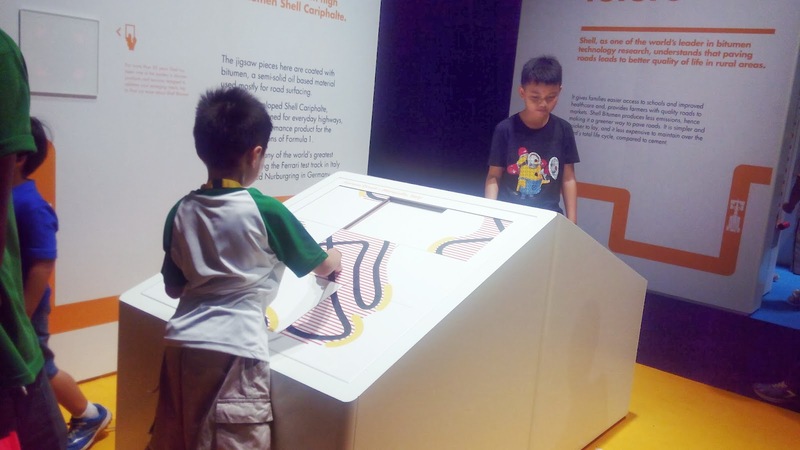 Shell Energy Lab takes visitors of all ages on a captivating and educational journey into the future of energy, technology and mobility. It offers visitors the chance to experience an event full of exciting attractions designed to spark reflection on the future of energy. The Shell Eco-marathon (SEM) started at a Shell research laboratory in the United States in 1939 between two scientists who made a friendly wager to see who could get the most mile per gallon from their vehicle. The winner of that contest barely achieved 50 mpg (21 km/l) and from these humble beginnings, a more organized competition evolved. It was in France in the year 1985 that the Shell Eco-marathon as we know it today was born. SEM was launched on April 2007 in the United States and it inaugurated in Asia, specifically Malaysia in 2010. Malaysia hosted the SEM Asia until 2013. This year, the event will be held in Manila and the Philippines will continue to host the event until 2016. 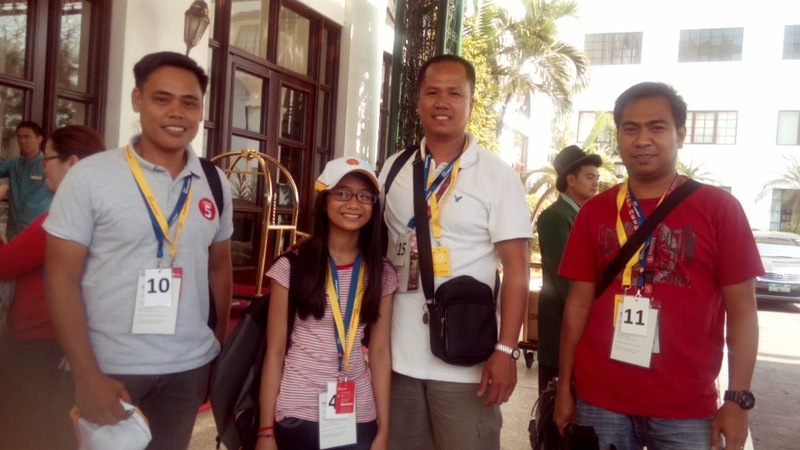 We arrived early at Roma in Manila Hotel where she got to meet members of the press. She's the only tween reporter that time and I was a bit apprehensive lest she feels intimidated by the veterans. Luckily, she proved me wrong and struck friendship especially with these three gentleman from TV5. 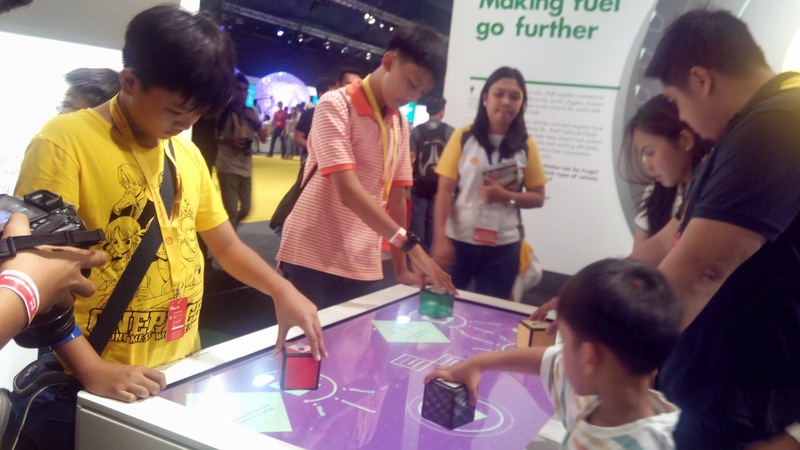 "The Shell Energy Lab highlights Shell's commitment to educating the younger generations on the importance of sustainability and innovation for the future of energy, technology and mobility. 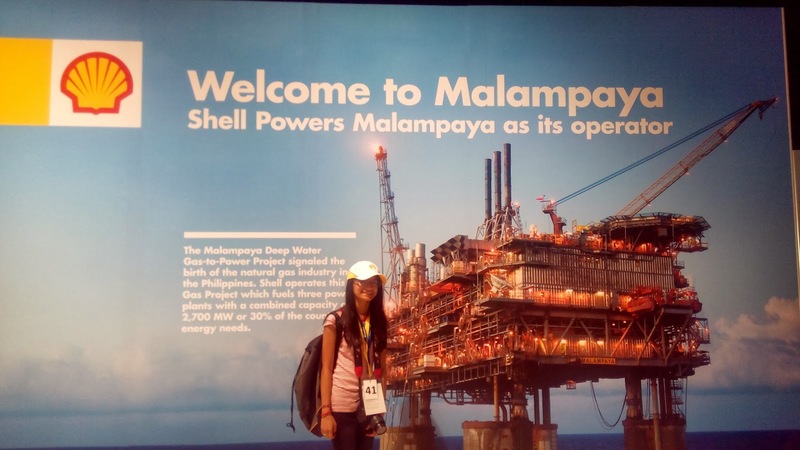 The interactive experiences in The Lab are fun yet informative, which Shell hopes will further inspire youngsters to continue learning about these fascinating topics," said Roberto Kanapi, VP for Communications, Shell companies in the Philippines. 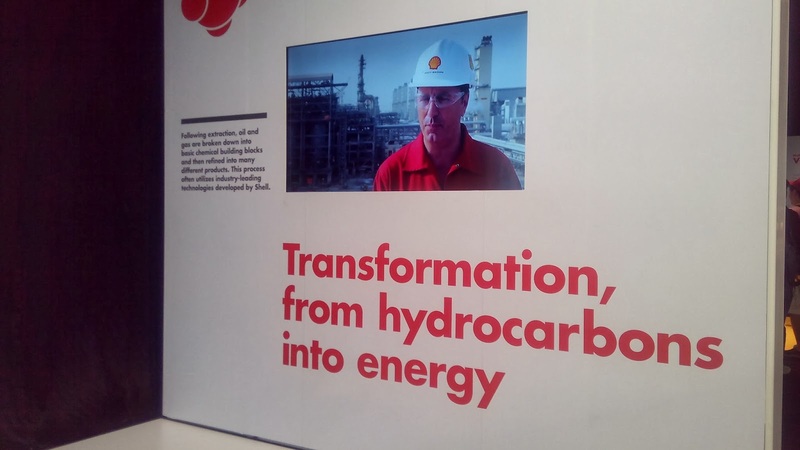 The Shell Energy Lab comprises of a number of educational, interactive displays, designed to take guests on a journey and educate them on the different aspects of energy, food and water and the role they play in the world today. 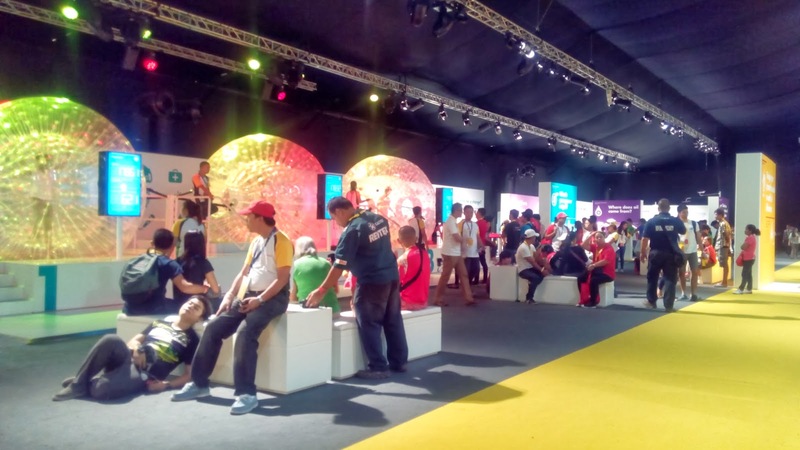 This includes the Energy Globe Screening Room, Stress Nexus Voting Game, Energy Mix Interactive Area, Kinetic Energy Dance Floor, Energy Generators, Malampaya, Shell Innovation and Shell Centennial Area, From Rig to Road, Planet You and Mini Shell Eco-marathon. 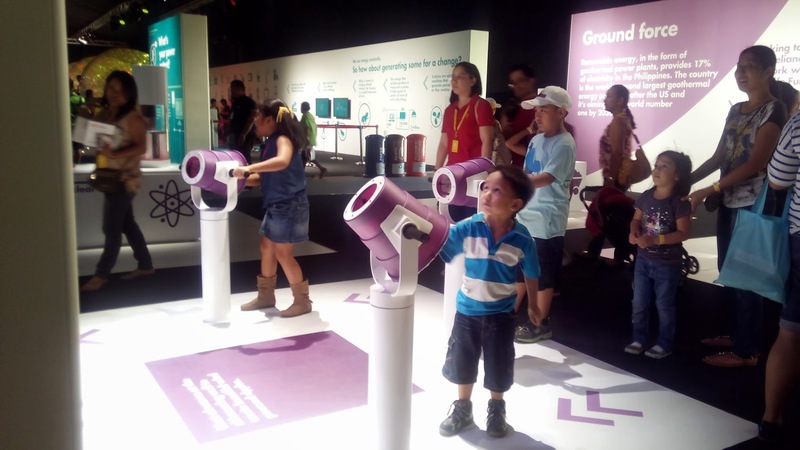 The little boy in the photo below is awed by canon-like thingy at the "Energy Explorer" section of the Energy Lab. The hamster-balls are included in the "Energy Generators." Here, the kids (and some adults) were asked to run or walk inside the giant ball for about a minute. They then try to beat each other on who can spin or generate most energy by running or walking inside the wall. Kids get to play with puzzles here. We also visited the Kinetic Dance Floor which was manned by my niece who started working for Shell Philippines after graduating from college last year. Great job ate Kim! 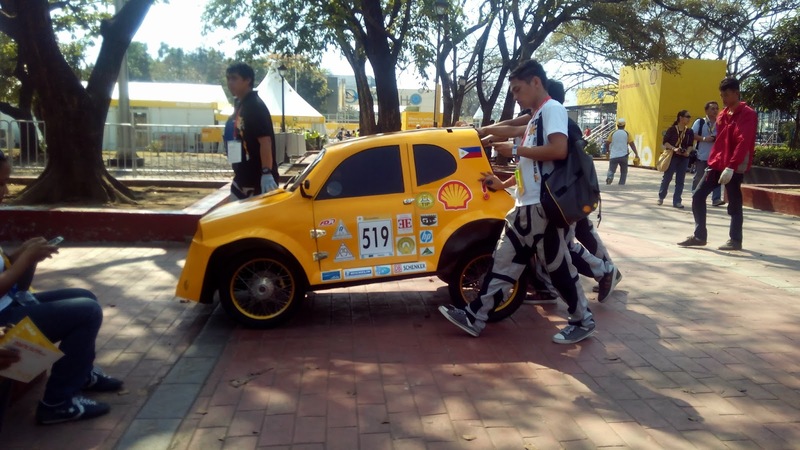 We also got the chance to see one of the Philippine Team's entry to Shell Eco-marathon where they compete with 14 other countries which includes: Brunei, China, Egypt, India, Indonesia, Lebanon, Malaysia, Pakistan, Qatar, Singapore, South Korea, Thailand, UAE, and Vietnam. The one pictured below is the Urban Concept Vehicle Type. 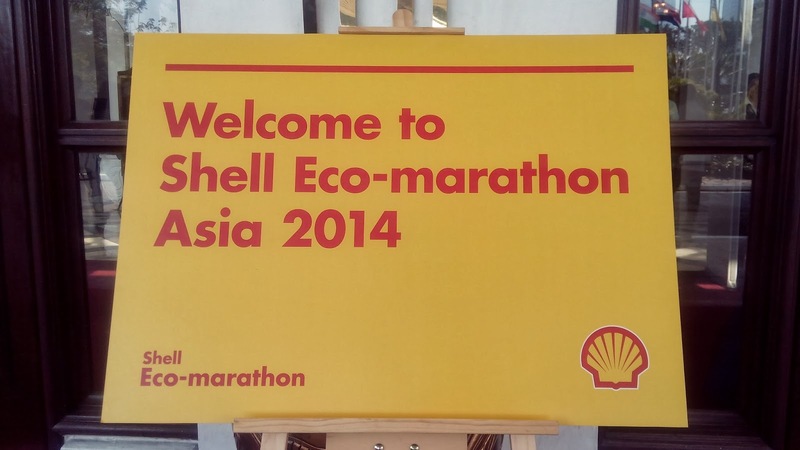 Read daughter's article about the Shell Eco-marathon Asia 2014 here.